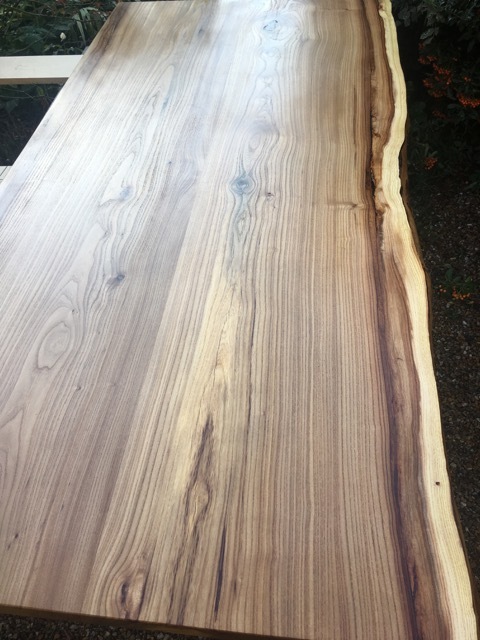 BEFORE - This was made by Jerry from Deal in Kent out of 2 of our English Elm planks. 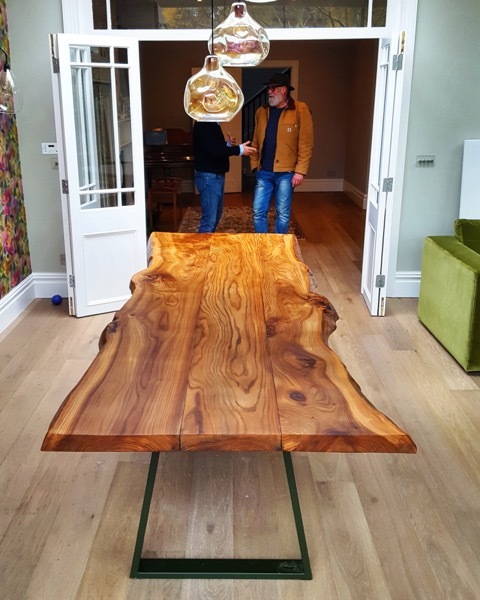 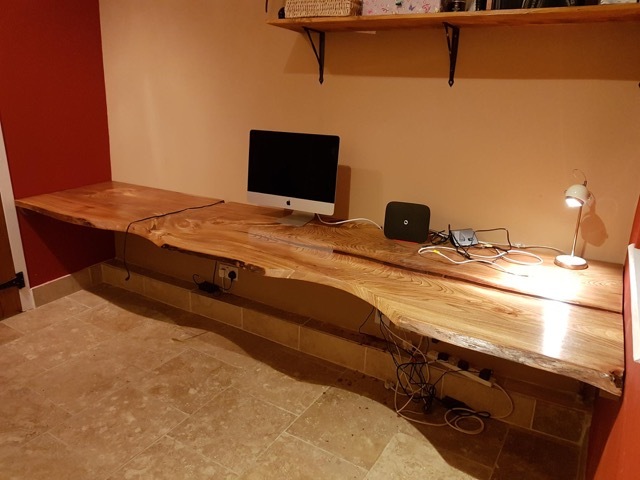 AFTER - This was made by Jerry from Deal in Kent out of 2 of our English Elm planks. 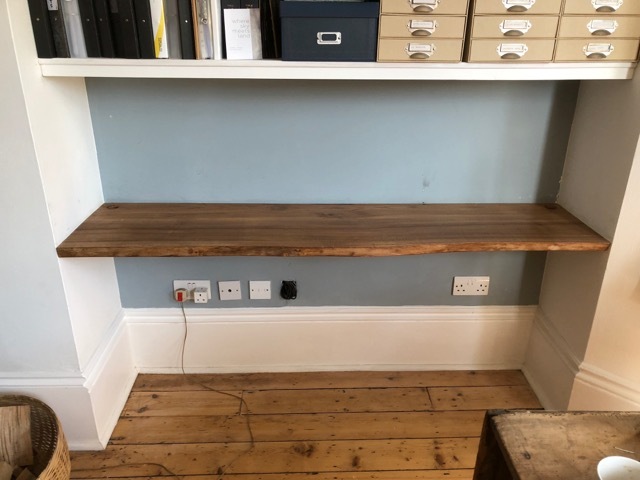 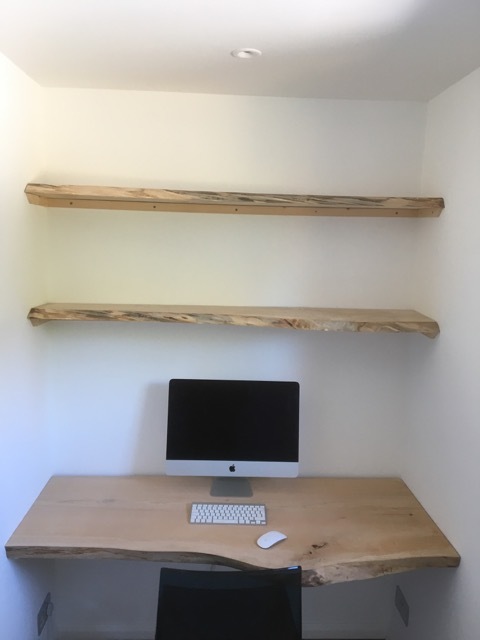 Untreated Cedar planks for desk and shelving. 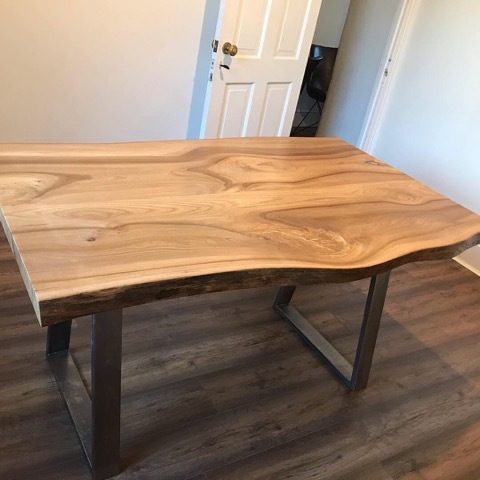 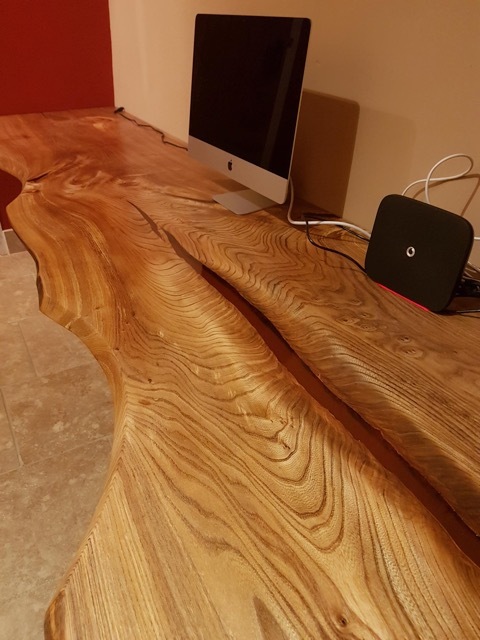 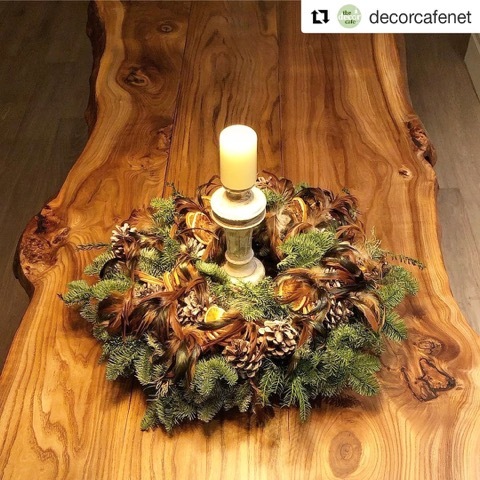 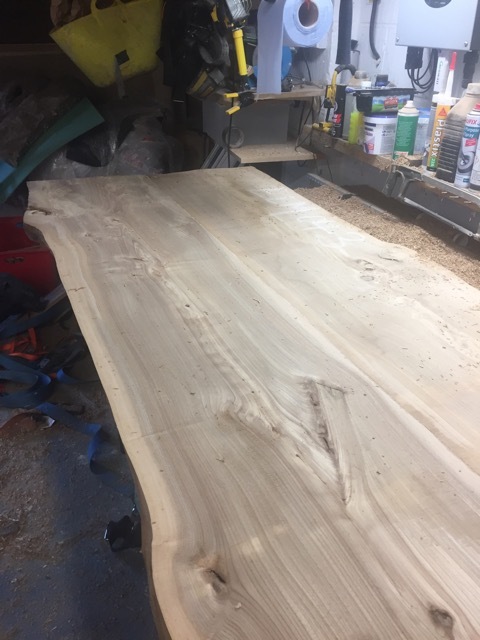 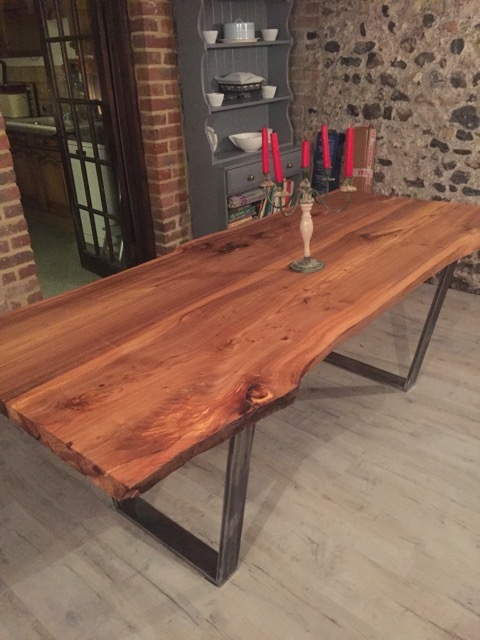 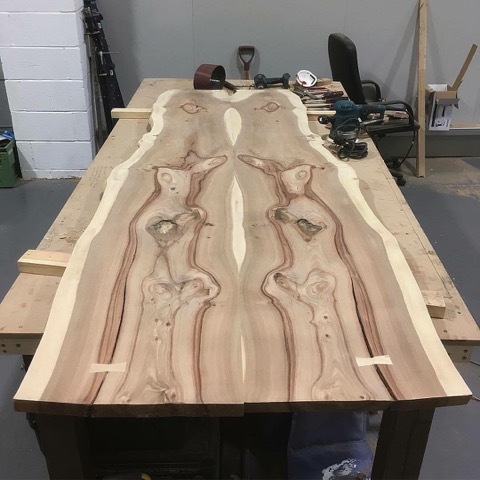 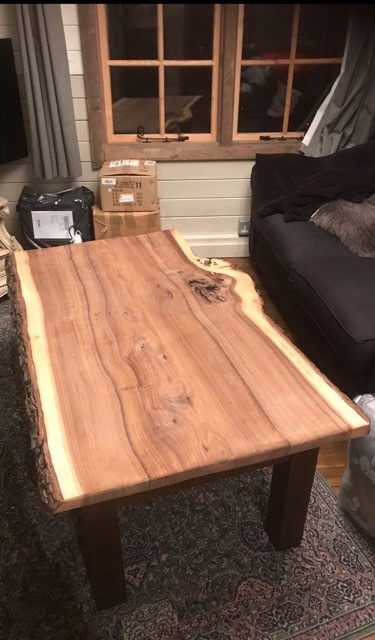 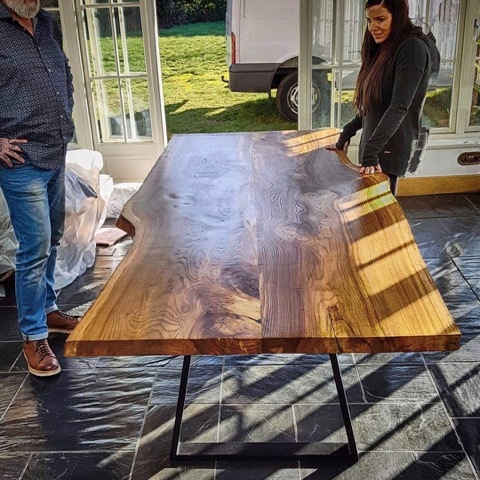 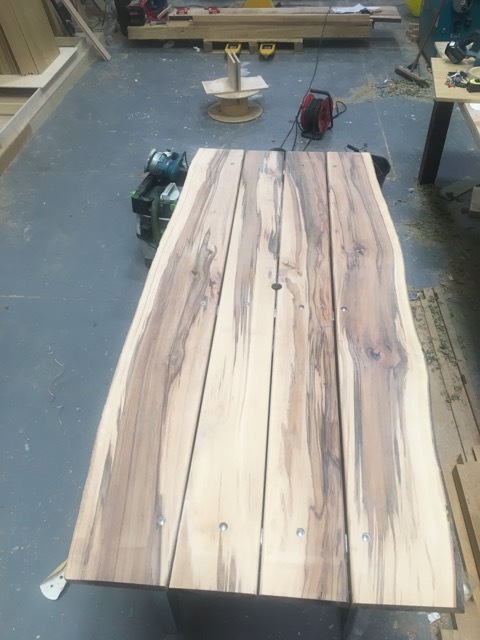 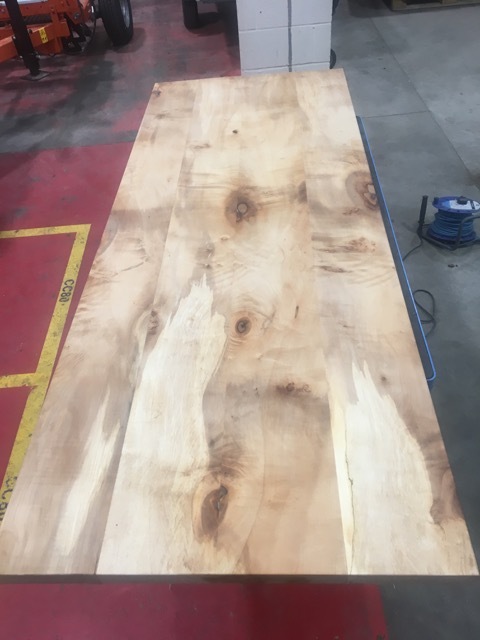 A table top made from Sycamore planks. 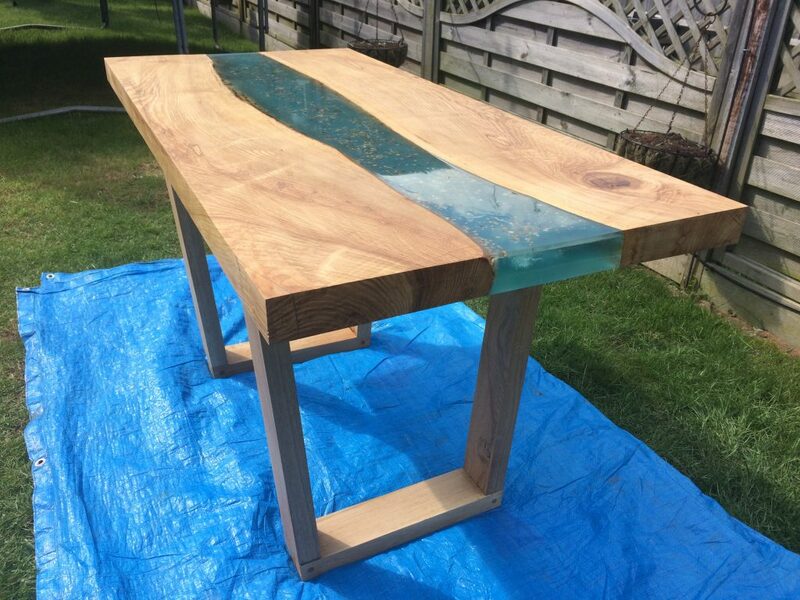 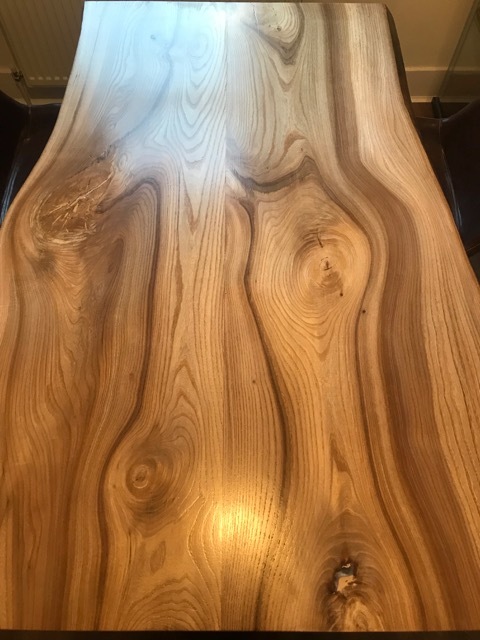 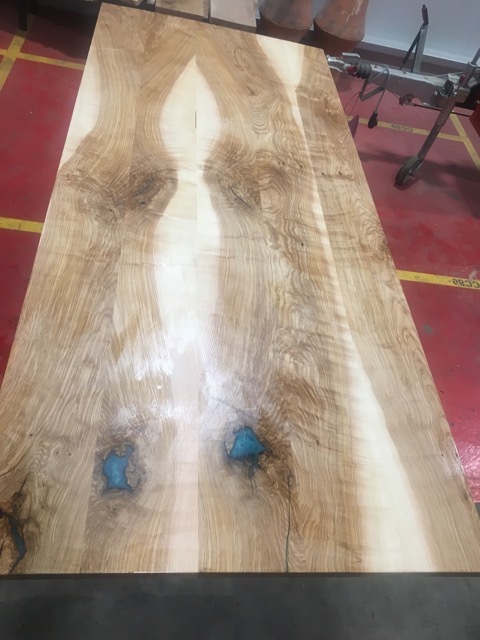 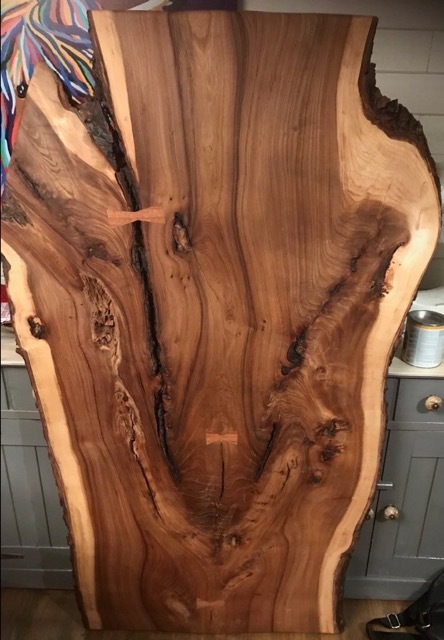 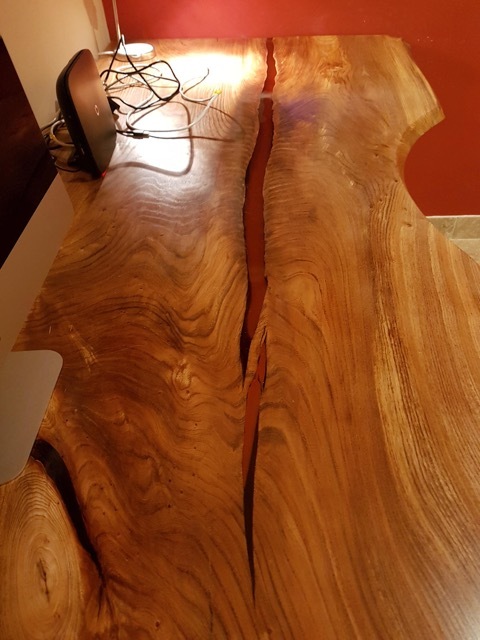 A table top made from Olive Ash also with blue epoxy resin running through it.